Mairen Lawson improved her personal best time in 800m by over 17 seconds on Saturday at the PCC Track Meet. She recorded a time of 2:35.8. Hines Creek’s Desiree Giesbrecht and St Joe’s Janai Martens were quadruple winners at the 2016 Peace Country Classic Track and Field Meet at Legion Field on Saturday. Giesbrecht captured the Youth Girls 400m, 1500m, 100m hurdles, and Long Jump. Martens won a quartet of Open Womens events: the 100m, 200m, Long Jump, and Triple Jump. The performance of the meet was registered by Peace Country Wolves Athletics Club athlete Mirelle Martens who won the Open Womens 3000m in a time of 9:38.0. Martens established a Legion Track record, becoming the first women to break the 10 minute barrier on Grande Prairie soil. In the team competition, Spirit River Regional Academy captured the top spot, ten points ahead of Go Athletics from Edmonton. Dawson Creek Secondary was third. The PCC meet also hosted the 2016 NW Zone Alberta Summer Games Trials for track and field. The Zone team will be named in the next few days. 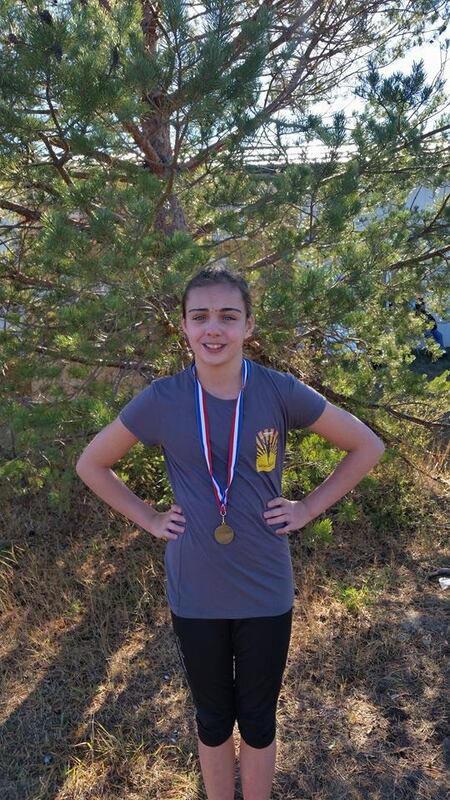 This entry was posted in Outdoor Track and Field, Uncategorized and tagged 2016 Alberta Summer Games, Albe, Athletics, Athletics Alberta, Grande Prairie, Grande Prairie Alberta, mirelle martens, NW Zone, Peace Country Wolves Athletics Club, Track and Field, Wolves Athletics Club, Zone 8. Bookmark the permalink.